Cobo Wallet is delighted to be the first wallet to support the Loom Network Staking dapp natively in our app, making it easy and safe to stake your LOOM tokens. The future will be powered by blockchain technologies like Loom, and Cobo is helping to make it easy for everybody to grow and secure their digital assets. In this article you will learn the best way to stake your LOOM – in the Cobo Wallet app! Note that this requires that you have your HD wallet already set up and already have your LOOM stored in your HD wallet. If you haven’t done that yet, check out our how-to. 1. If you already have your LOOM in your HD Wallet, open the Cobo Wallet app, go to the “Explore” tab and search for “Loom” to bring up the icon for the Loom Network Staking dapp. 2. Click on the dapp icon and then click “Deposit” to put your LOOM tokens on the PlasmaChain, choose the amount you want to put on the PlasmaChain, and approve the transfer. 3. With your tokens safely on the PlasmaChain, scroll down and click “Stake Tokens” to bring up the list of Validators. 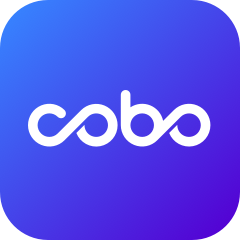 Find “Cobo Wallet” and click to see current information about our Loom Network Validator. 4. Choose the amount and duration of the lockup period, then hit “Delegate”, finalize the transaction, and look for the confirmation message at the top of your screen. 5. Congratulations, you’ve staked your LOOM! Get ready for rewards!